Now, I changed my mind into English. So most of you have hard time to read my dairy, haha. After going to the mosque, I went to Burnham park. 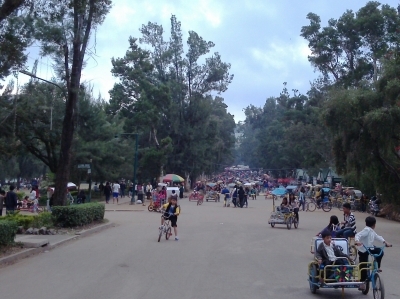 This park is located in downtown area and very famous among baguio citizens. In the whole February, we have "the flower festival" in Baguio city and this park is getting crowded. The main parades will be held in the last week in this month, so I am looking forward to it! 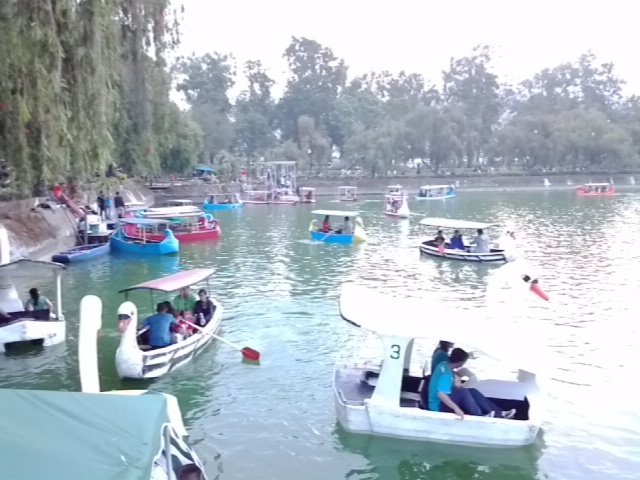 This is the photo of the lake inside the park. Many people were enjoying sowing the boats. In japan we don't usually do that because it's a little bit embarrassing or something like that. But in the Philippians, they can enjoy with these simple things. I also rode on a boat and sang songs with my friends in the Christmas season. 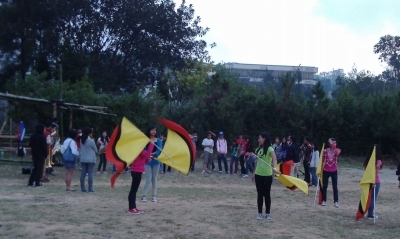 I could also find some people practicing music and dancing for the festival. When I talked with them, they became shy and smiled at me with kinda hesitation. After that, I went to the Japanese meeting in a restaurant. In this term, more than 20 Japanese students came to PIA, but most of them I met for the first time. Originally I am introverted, but when I speak English, my character changes and becomes more active and welcoming to everything. But in this occasion, still I was shy and I was not active to talk in Japanese. Or gradually am I forgetting Japanese? On Sunday, as usual, I went to the church to meet my friends and join in the service. 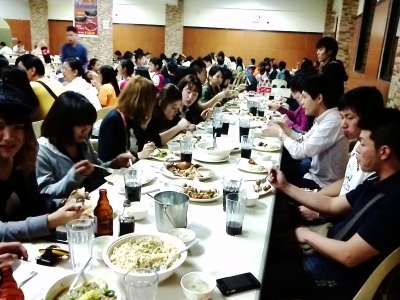 In Japan, we usually think that Christian's meeting held in church on Sunday as Mass. But the word "Mass" is only used in Catholic groups and Protestant use the word "worship service". This time I brought my friends, K and Peter. They were also amazed and had a great time! After the service, I accompanied my Filipino friends to some houses as a "short study". They, including me this time, went houses to teach them Christian lessons and encouraged them to come to the church next time. As it is, called missionary. Also, one month ago I went another church with them to spread their doctrine. These experiences are very impressive too! By the way, they invited me to the birthday party next Saturday. I'm looking forward to it from then! Hmm, I wish it was already weekend!